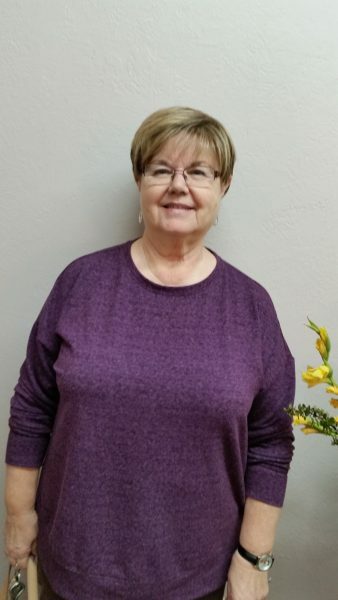 Our “From the Pews” guest this week is Paula, a native of Fresno. This scribe is always delighted to meet someone who was actually born in our fair city. I was born here also, but not my parents. The diversity of ethnic backgrounds always amazes me. It seems that, for the most part, even those of us native born have parents from elsewhere. Paula’s dad was born in Texas, but her mother was born here. Paula’s story is unique in that it begins here and is played out exclusively in this Central Valley city. Paula grew up and came of age when children still played in the streets and life looking back seems innocent and moved at a less hectic pace. The following is not an autobiography or even a biography, it is a story structured and written with the intention of revealing the essence of Paula’s life. And just perhaps, if you are a native you will identify with Paula’s account of growing up in Fresno. If not, maybe you will better understand why we are like we are. “Dale, you have tapped a stream of memories that go back almost to my birth. Here is my earliest memory. I was in a park at a family picnic. I was two or three years old and very annoyed. I was the only girl among the cousins. The boys were climbing a tree, and I was not allowed to climb! Birthdays were a source of contention. My brother showed up three years and three day after me. With our birthdays so close, my parents declared that we would celebrate our birthdays together with parties alternating between his and mine. An old photograph shows me at about age five standing in a blowup pool with my gaggle of little girl friends. Another photograph from that same age shows me standing beside the family car beaming with delight and wearing a humongous Easter hat. Another significant memory involves beans, a pressure cooker, and an explosion. Mom and dad were not home. My brother Ken was way out in the backyard doing whatever little brothers do. I, on the other hand, was cooking beans in the pressure cooker. Why I had decided to cook a pot of beans I have no idea. What I do know is that the pot exploded and beans were EVERYWHERE—and I do mean EVERYWHERE! Ken heard the explosion and came flying in. I was not hurt, and after surveying the catastrophe of a bean bombing in mother’s kitchen, we got busy and had the worst of the damage cleaned up before the folks got home. There were four of us girls growing up in the neighborhood just west of McLane High School. Ginny has been my friend since we were three years old. She was the one I moved into an apartment with when I was eighteen. Next was Gwen who lived directly behind me with a connecting gate to our backyards which proved very convenient. Judy who arrived from Nebraska when we were all in the seventh grade. We were inseparable. We rode our bikes all over the neighborhood and played every game from Simon Says to Mother May I. In the summer time we left the house in the morning and came home for supper. A favorite pastime was watching when the ditch overran its banks and turned Millbrook Avenue into a pond. Chaos ensued when cars blindly passed the hump in the road and landed in the middle of a street turned to a lake. In first grade I rode the bus to school. I often missed the morning ride, but never missed the trip home. Mom never understood. I always thought, well, duh! Grade school was wonderful, junior high was fun, and high school not so much because new boundaries sent some of my friends to another high school. I was always a good girl, but in high school geometry class I got caught exchanging notes with Judy and Bob. The teacher put the notes under a binder on his desk. Bob asked the teacher to explain a geometry problem, and when he turned to the blackboard, Bob stole the notes. Whew! Nothing was ever said. My record remained spotless! When I graduated from McLane High School in 1965, career choices were limited to teacher or secretary. I trained as a legal secretary at 4C’s Business College. At my first law firm all six attorneys wanted to be first. I learned early on about rush jobs. On the corner of my desk I had a stack of papers marked “rush.” When a lawyer came in all agitated and told me this is a rush, I said put it on the bottom of the stack. He always left in a huff. I left there after two years and took a job selling and teaching about word processors. Then it was ten years with another attorney. After that I bought a secretarial service that was my bread and butter for twenty years along with the catering business Mom and I ran for twelve years of those years. Next it was ten years working as a vocational rehab counselor for the County Behavioral Health Department. Wow, it is no wonder I am tired! Dale, you asked what I do if I have a spare hour or two, and my answer is that I would invite someone to lunch and the movies. Mom and I found the Big Red Church in 1995. I was soon involved in Church Life Ministry and perhaps from my catering experience I gravitated toward the kitchen where preparing meals for the congregation has been my ministry for twenty years. The Big Red Church has been something I can hang on to and a place where my faith is fed and nourished. I trust that I am always safe here and have always found support and encouragement when I needed it.